August 6, 2016 (The New Atlas) - Amnesty International strongly condemned tomorrow's referendum regarding Thailand's new charter aimed at moving the nation forward after over a decade of political chaos and now two military coups, the most recent having been in 2014. The Amnesty International has questioned the reliability of the Sunday referendum, pointing out it will be held under “chilling climate” when the people cannot speak their minds freely. In its press statement issued Friday, the Amnesty International said the referendum is taking place "against a backdrop of pervasive human rights violations that have created a chilling climate". It said the Thai authorities have arbitrarily arrested scores of people, have cancelled or disrupted peaceful assemblies and took off the air a television station in recent weeks. It said these incidents were just the most recent undue restrictions on the rights to freedom of expression, peaceful assembly and association. However, what Amnesty International does not say is that the arrests were not "arbitrary," and instead targeted supporters of ousted former Prime Minister Thaksin Shinawatra, now a convicted criminal living in self-exile to evade a 2 year jail sentence and a raft of other pending criminal charges, according to the London Guardian. 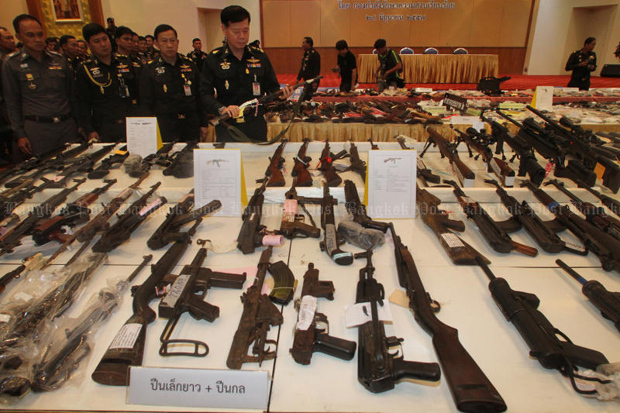 Amnesty also fails to mention that the "peaceful assemblies" and the "television station" they referred to are also both organised and run directly by Thaksin Shinawatra and his political forces. Amnesty International, based in the United Kingdom, would likely find it difficult to defend a political party in England run openly by a convicted criminal living abroad who regularly organised attempts to subvert state power including through the use of armed terrorism. 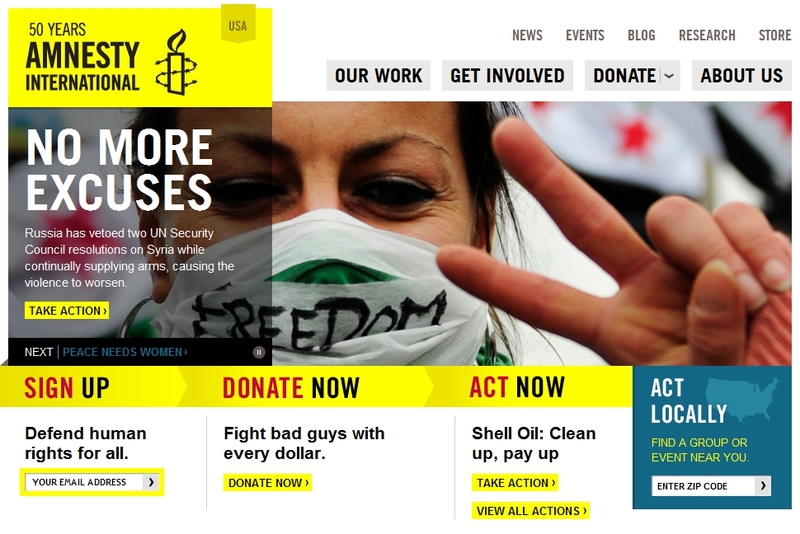 So one wonders why Amnesty International obfuscates the fact that this is precisely what Shinawatra has done in regards to Thailand, and why Amnesty believes arresting and disrupting the activities of those involved in such subversion amounts to "pervasive human rights violations"rather than the impartial application of the rule of law. According to Wikileaks, the US Embassy itself noted a string of terrorism carried out by the supporters of Thaksin Shinawatra leading up to and in the wake of the first military coup aimed at ousting him and his political forces from power in 2006. In the cable, at least 5 separate incidents were listed. 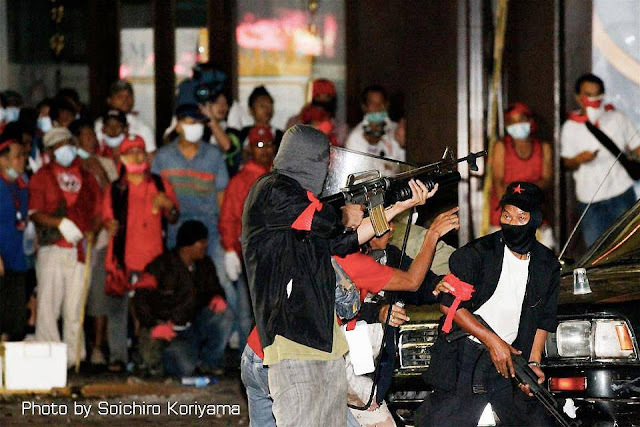 Since then, Shinawatra has deployed violent mobs into the streets on a number of occasions, the most notable of which occurred in 2009, 2010, and between 2013-2014. 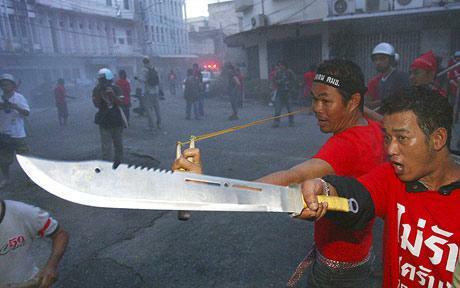 Shinawatra's mobs would gun down two innocent bystanders in 2009 as they attempted to protect their property from the mobs' looting. In 2010, Shinawatra would augment his mobs with an estimated 300 heavily armed terrorists, who on the first day of bloody confrontations, would ambush and kill 7 soldiers including the colonel leading anti-riot operations. As the army attempted to move on the camp, they were confronted by well-armed men who fired M16 and AK-47 assault rifles at them, particularly at the Khok Wua intersection on Rajdamnoen Road. They also fired grenades from M79s and threw M67 hand grenades at the soldiers. News footage and videos taken by protesters and tourists show several soldiers lying unconscious and bleeding on the ground, as well as armed men operating with a high degree of coordination and military skills. 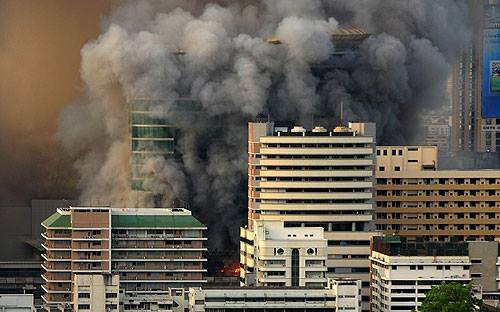 The violence in 2010 would continue on for weeks claiming nearly 100 lives before concluding in citywide arson carried out by Shinawatra's supporters that incurred billions in property damage. 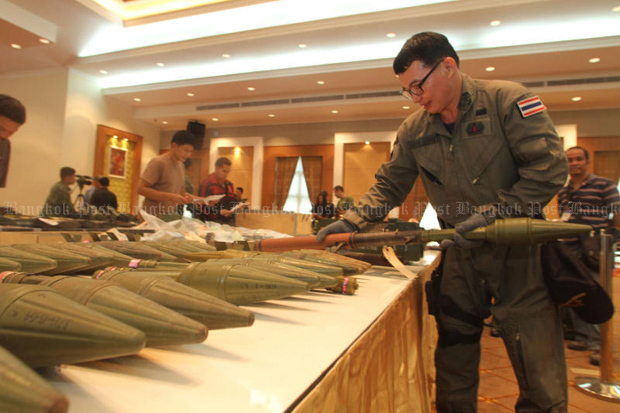 Finally, between 2013-2014 when anti-Shinawatra protesters took to the streets to call for his sister, Yingluck Shinawatra, to step down from power, his armed terrorists would again take to the streets, utilising 40mm grenade launchers, hand grenades, and military-style rifles in almost nightly attacks on protest camps throughout Bangkok. In fact, up to the eve of the 2014 coup that finally ousted Shinawatra's sister from power, there were violent attacks carried out by Shinawatra's supporters. Why Amnesty International does not mention any of this remains a mystery, unless the organisation is intentionally trying to misinform global public opinion as to the true nature of Thailand's current political crisis and how the referendum represents an attempt to finally end political violence and abuse of power that in every way represents "pervasive human rights violations" in reality, as Amnesty claims the referendum represents in fiction. It is clear that political forces in Thailand still supporting Shinawatra despite the means he has used in pursuit of returning himself and his political allies to power, do not represent a legitimate opposition protected under conventions of "free speech" and "right to assemble." Like criminals of every other variety, those who have systematically and repeatedly abused these rights at the cost of the lives and well-being of others in society, forfeit these rights and must be brought to justice. Arresting people engaged in criminality, or disrupting the activities of those supporting criminals is universally recognised as both a legitimate and appropriate. That Amnesty International attempts to frame it otherwise in Thailand's case, raises fears that just as the organisation did in Syria or Libya, where it portrayed armed terrorist organisations as legitimate opposition, their reputation and clout is once again being used to usher in and compound human catastrophe, not avoid it.